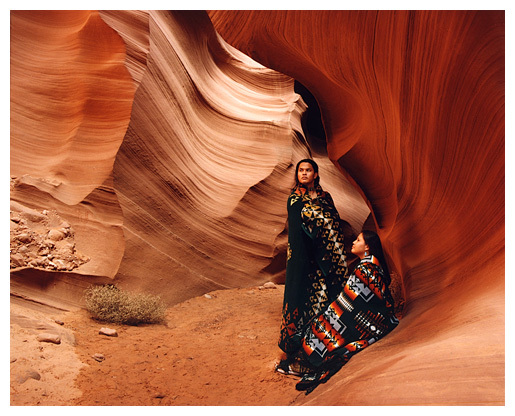 The cards come in two collections: the first contains cards with a white border surrounding the pictures, the second collection does not have the border. All note cards are blank on the inside. They are all available at our eBay store and you will find those links below. 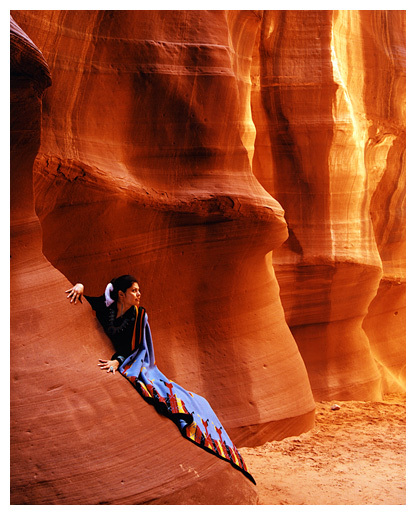 The shadow of the young Navajo girl mirrors that of Spider Rock in the late afternoon sun. 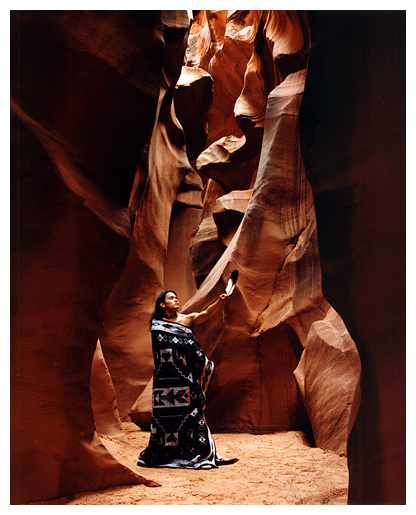 The Pendleton robe she is wearing is a black Mesa Verde pattern. 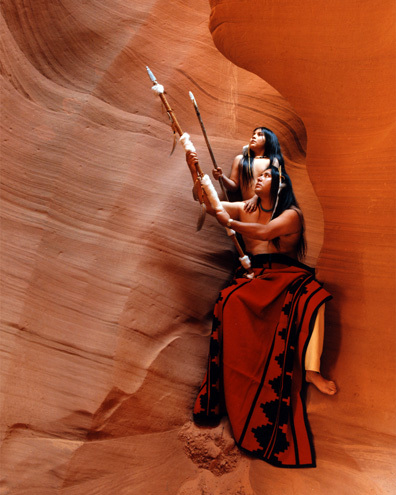 Spider Woman is a pivotal part of the Navajo creation story. 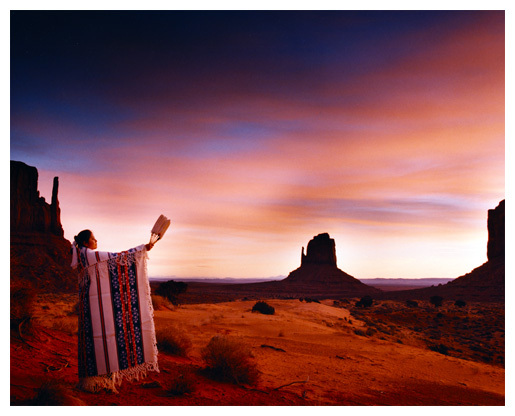 She is the communicator between the spirit world and the mortal world. 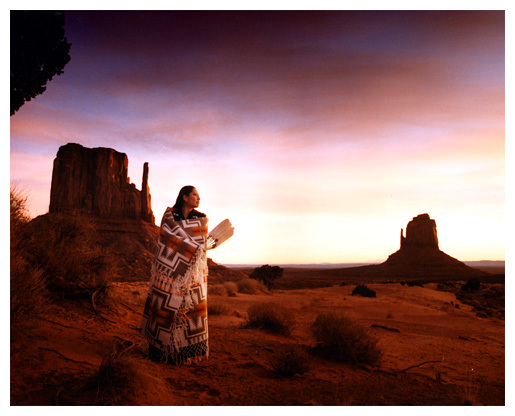 One of her greatest gifts was to teach the art of weaving. 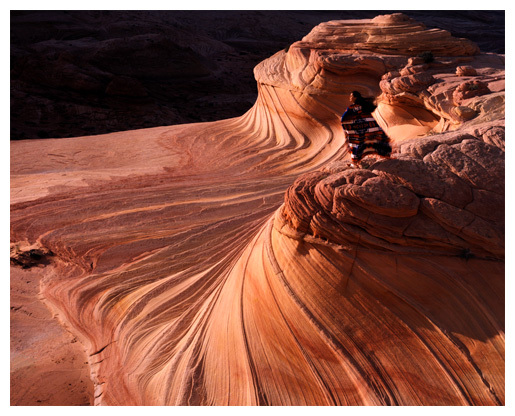 Shan Baldwin stands with the wind on the double swirl rocks in late afternoon. 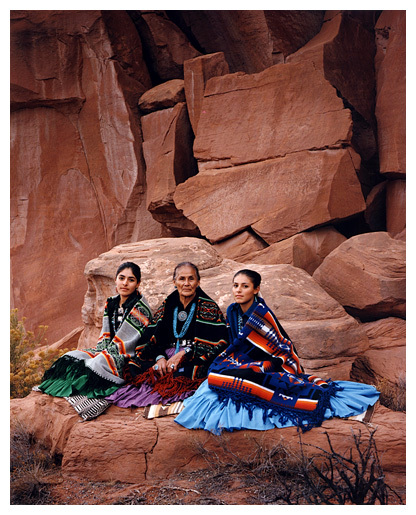 She is wearing her blue Chief Joseph pattern Pendleton shawl. 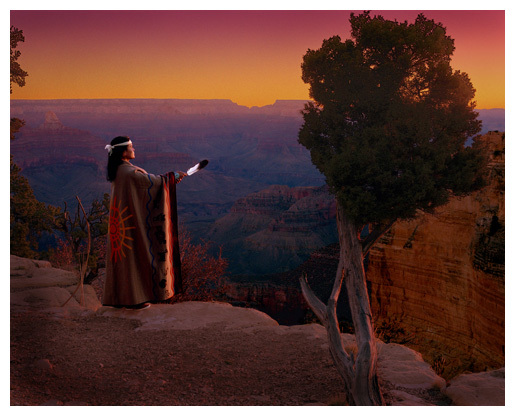 This formation is located in a remote desert area north of the Grand Canyon. 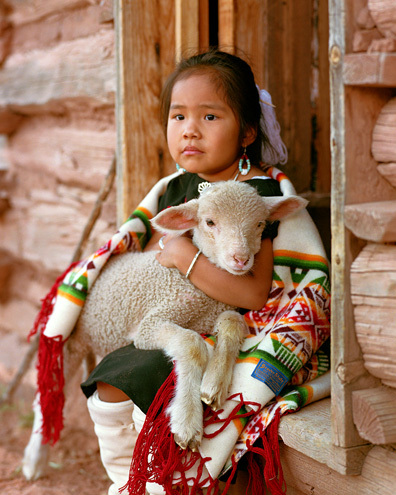 Josie holds her lamb in the doorway of the sheeperder's hogan. 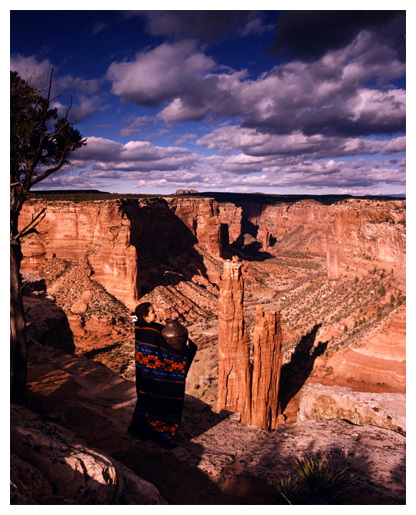 She wears her white Muchacho series Pendleton shawl to ward off the evening chill at Canyon De Chelly, Arizona. This father and son wait for the sun to pass through the opening above them. 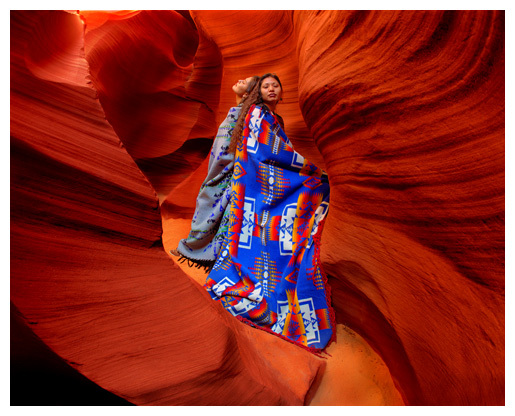 The father is wearing his Red Rock pattern Pendleton robe in a recessed area of Lower Antelope Canyon near Page, Arizona.